models incorporated into the the ProteusDS solver. If you are new to ProteusDS, it is advised that you work through the ProteusDS tutorials. The tutorials cover the basics required for most users of the software and will provide insight into how to use this manual. ProteusDS tutorial input files. Download, open and start running simulations without the set-up time. This document outlines the validation of the dynamic analysis software package ProteusDS for use in assessing the loads in moorings and nets for marine ﬁnﬁsh aquaculture applications. This document describes the development of wave drift force modelling capabilities within ProteusDS. A proven dynamic analysis software with advanced finite element, hydrodynamic, current, wind, wave and mechanism modeling capabilities. Microsoft .NET 4.5 or higher. PostPDS relies on OpenGL. 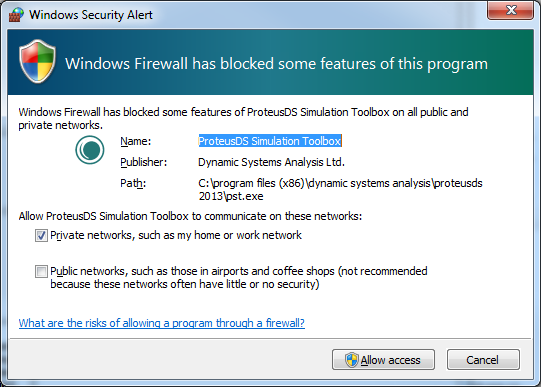 If you encounter an error when trying to load simulation results in PostPDS open the ‘Configuration Utility’ from the ProteusDS 2015 programs in the Windows Start Menu and set the ‘Rendering detail mode’ to ‘Compatibility’. Save and exit the application and try reloading the simulation results in PostPDS. If this fixes the problem, but you have a discrete graphics card on your computer, consider updating your graphics card drivers and then setting the ‘Rendering detail mode’ back to ‘Full’ for maximum performance. Microsoft Visual C++ Redistributable Package Download Page The Microsoft Visual C++ 2010 Redistributable package is required to run the ProteusDS solver. It is free and can be downloaded here. It is frequently pre-installed on the latest Windows operating systems.